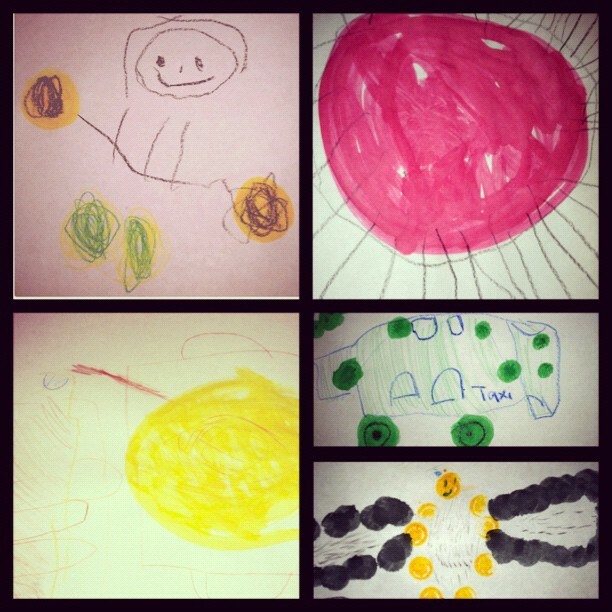 Pen Pals & Picture Books: And, we're seeing dots! Have you ever seen these little guys before? Dot markers, well really dot paints I guess. I love these things! My kids love these things! Everyone loves these things! (I suspect.) So, when we pull these out there are big time happy faces around here. 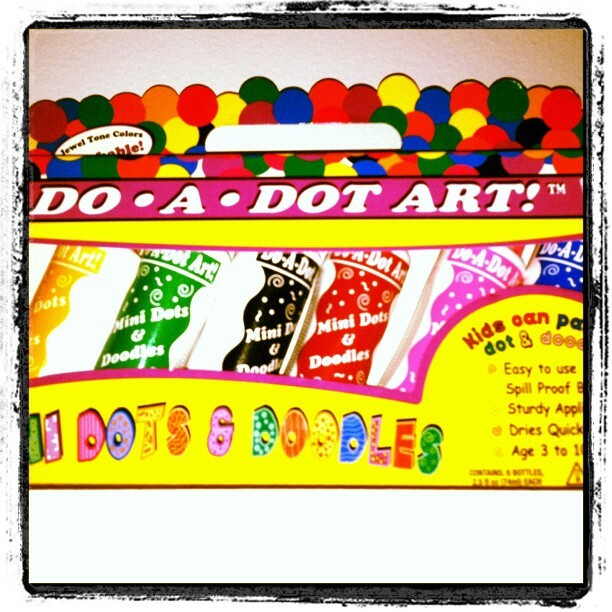 I thought they would be just great with this book I found that is all about dots. Get out the dot markers and start dotting away before you even think about the book. These take some exploration time. 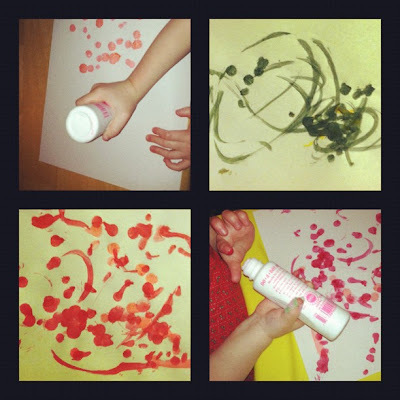 Really, totally unstructured dotting is the way to begin, even if your kids have used these before. Now you're ready to see some dots of your own. 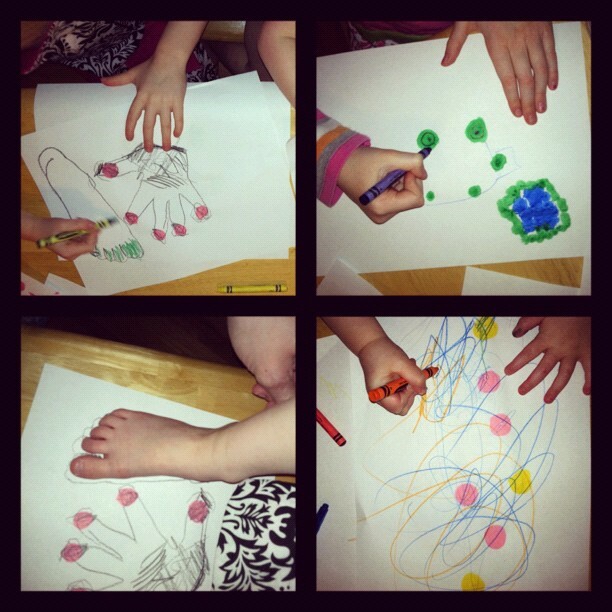 We looked for dots around the house first, and then went to markers. There are two ways to go about it. ... you're doing things exactly right. (If you wondering what "this" is and you can't tell from the picture above, its FUN, of course.) 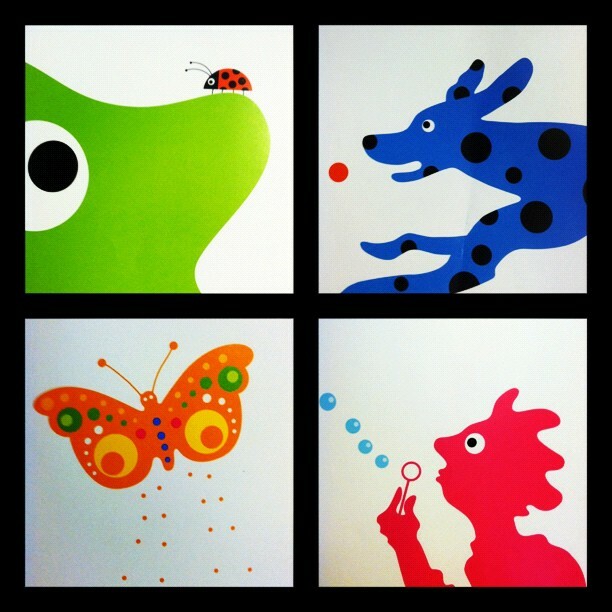 Happy dotting!